The neon Taipei of the 1980s. A brother and two sisters on the verge of adulthood, living on their own, making more or less risky life choices. Hsiao-yang works in KFC and attends a night high school, her brother runs a restaurant and gets involved in fishy businesses, while their youngest sister enters her rebel age. 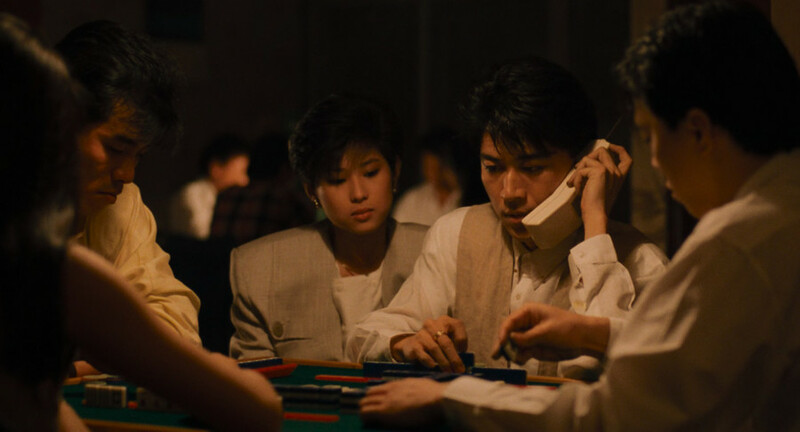 This melancholic portrait of young people drifting though urban spaces, interested in Japanese mangas rather than in the political changes in the modernizing country, is one of the least known pictures by Hou Hsiao-hsien. Considered to be one of his more commercial productions (the leading role is played by Lin Yang, a popular pop star), was not acclaimed by critics as much as it deserved to be, and the scarcity of film copies meant it was rarely shown on the big screen. Rediscovered after many years, it turned out to be a perfect, nostalgic document of its times – the director masterfully captures the atmosphere of the decade, with all its cheekiness, darkness and brutality contrasted with the sugar-sweet pop-culture. Hou's first film made in Taipei breaths in the rhythm of city life, filmed in the director's characteristic, long shots. The camera follows the everyday reality of the characters, and the soundtrack reminds us of the best that 1980s had to offer, creating a perfect background for this disturbing, bitter-sweet poem about loneliness. Born in China in 1947, raised in Taiwan where he graduated from the National Taiwan Arts Academy. Received several best Director awards at international festivals (including Cannes, Venice, and Taipei). One of the key member of the Taiwanese New Wave, which was highly influential for cinema in its homeland and abroad. His retrospective was show at the 5th Five Flavours.